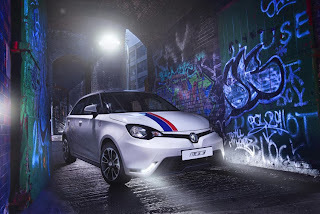 MG's latest dealer in Spalding took an order for an MG3 even before being appointed! years and still have lots of customers who own older MGs," said Sales Manager, Adam Brand. "A customer with an MG ZS and an MG F rang us and said he was really interested in buying an MG3 because he had read so many good reports about the car. He went on to place an order for an MG3 3Form Sport in White on the Tiles even before all the formalities on our MG franchise were complete." "I know that the new generation of MGs will appeal to our customers with legacy MG products and we can't wait to start selling the new cars. I’ve driven both the MG6 and MG3 and they are superb cars offering great value for money," he further added.